This shirt comes from Ript Apparel. This was a very popular shirt. Scott received an email from Ript saying the demand was huge and to be patient. 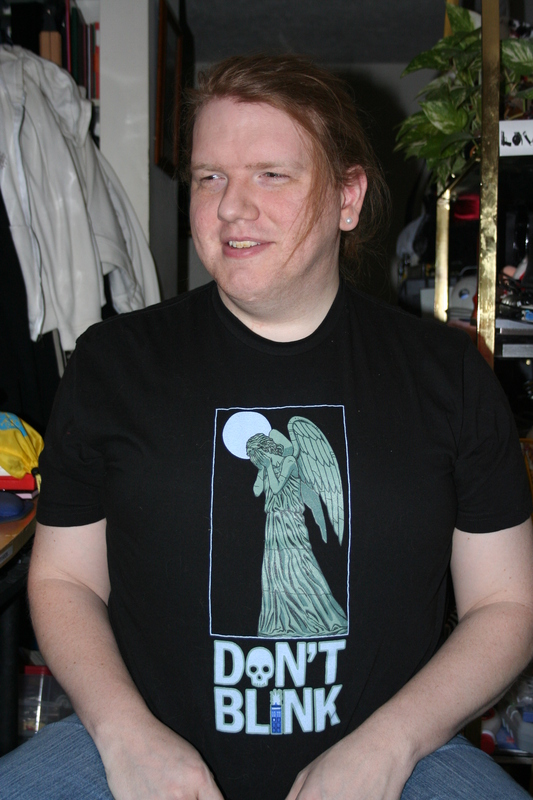 The shirt is referencing Doctor Who’s Weeping Angels. If you blink in the darkness, they will get you! Skotte says: I like the composition of it. It’s got a pretty cool look.